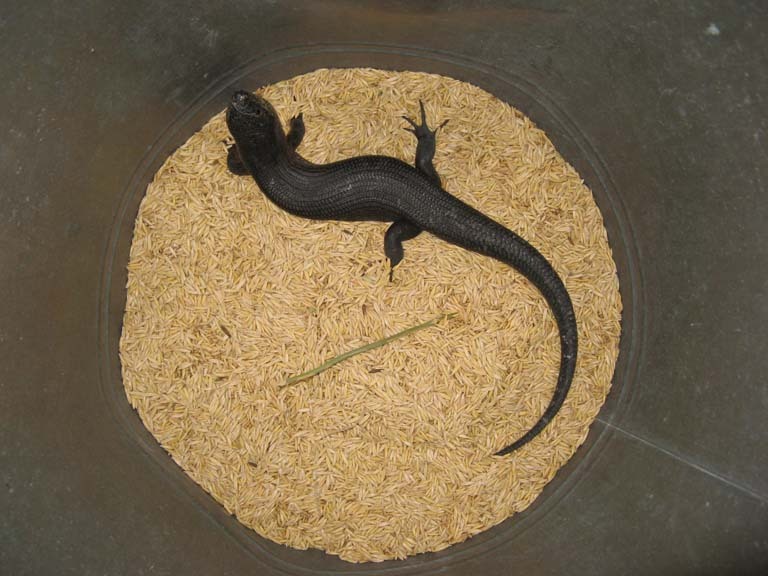 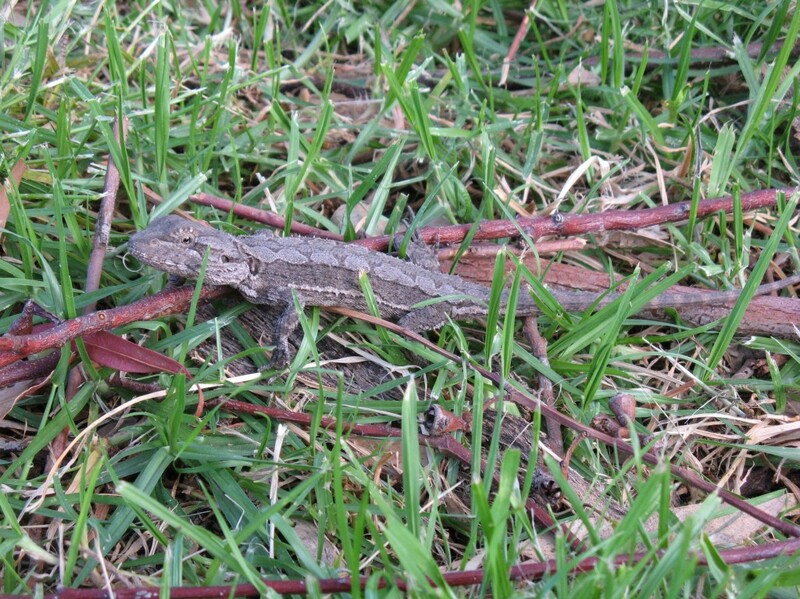 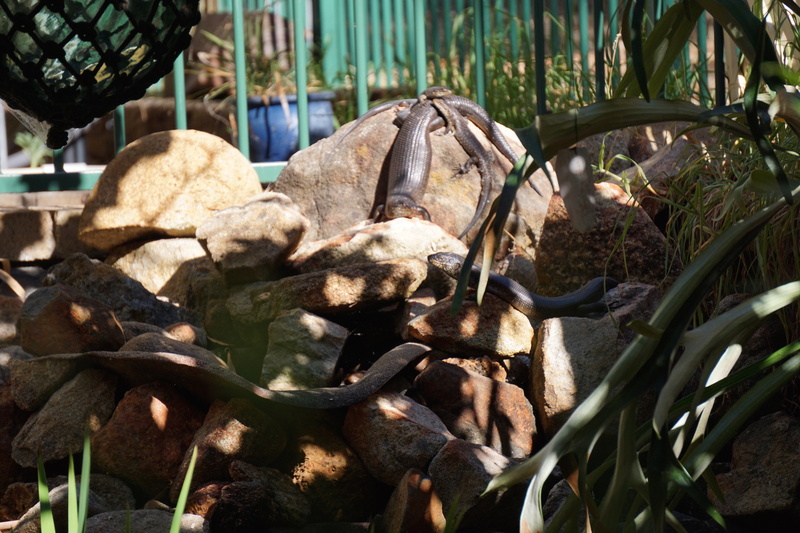 We see lots of these beautiful King Skinks, some of them are huge! 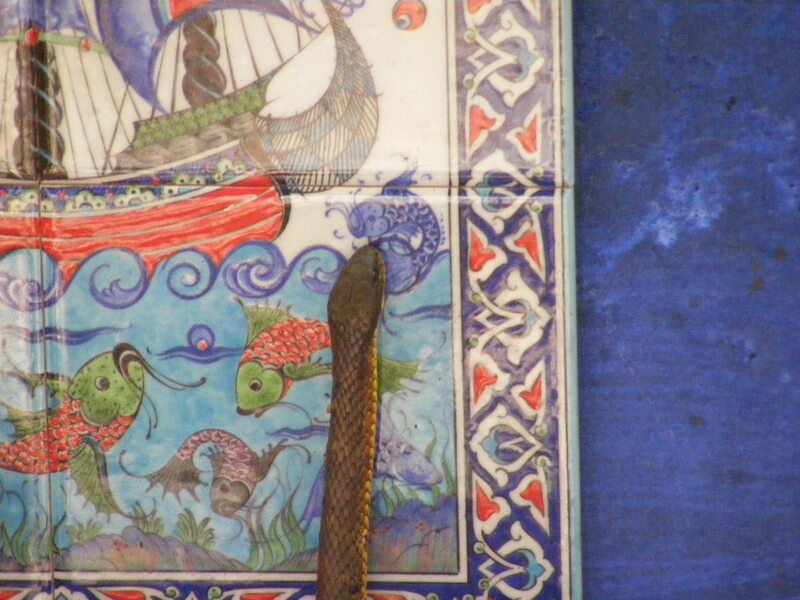 One particularly large one is a regular visitor in the roof, and this one dropped down from the grapevines above the door and raced inside on Christmas Eve. 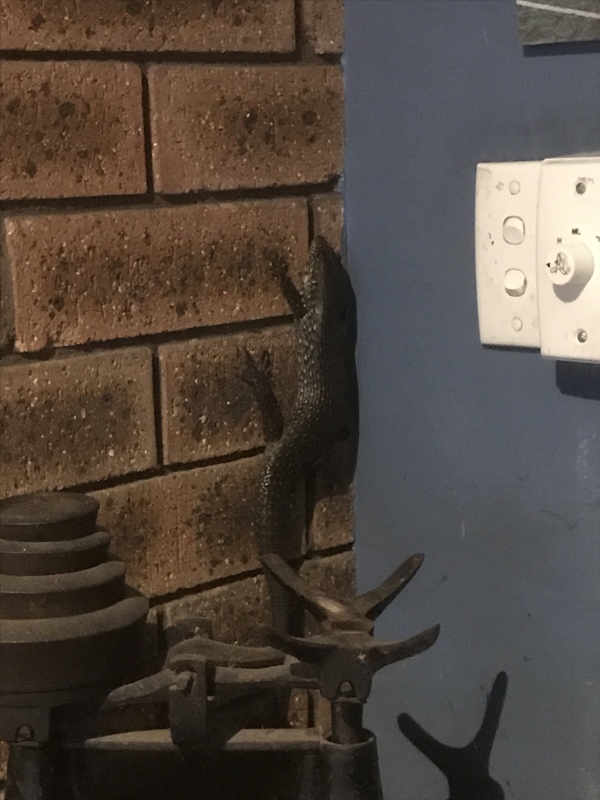 After hunting everywhere we assumed it had gone out again, but on Christmas morning we saw this when we turned on the kitchen light!! 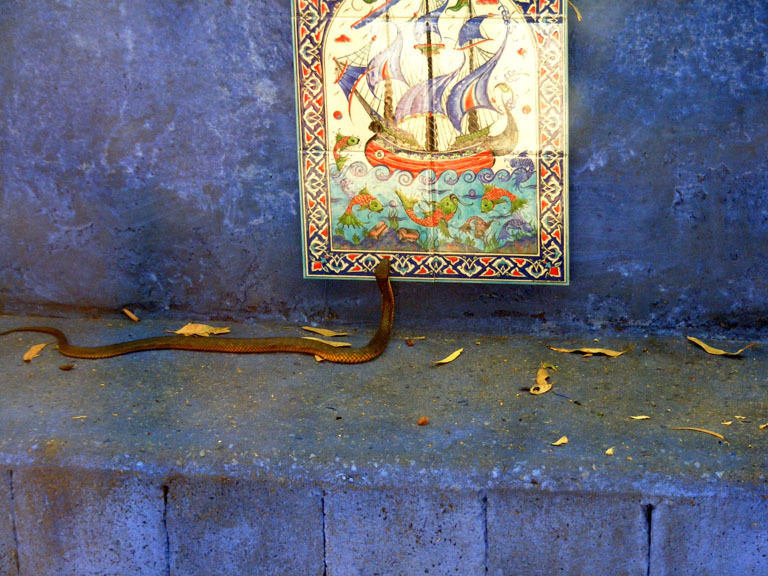 Fortunately it was a cool morning and it was easy to catch in a towel and release outside. 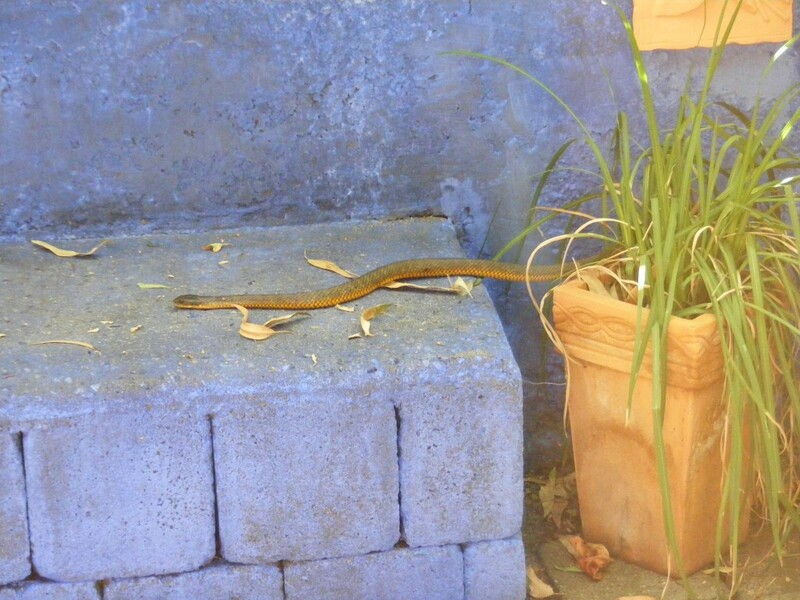 This one must have slipped or fallen into the bin of wheat when the lid hadn’t been replaced, and made a great photo! 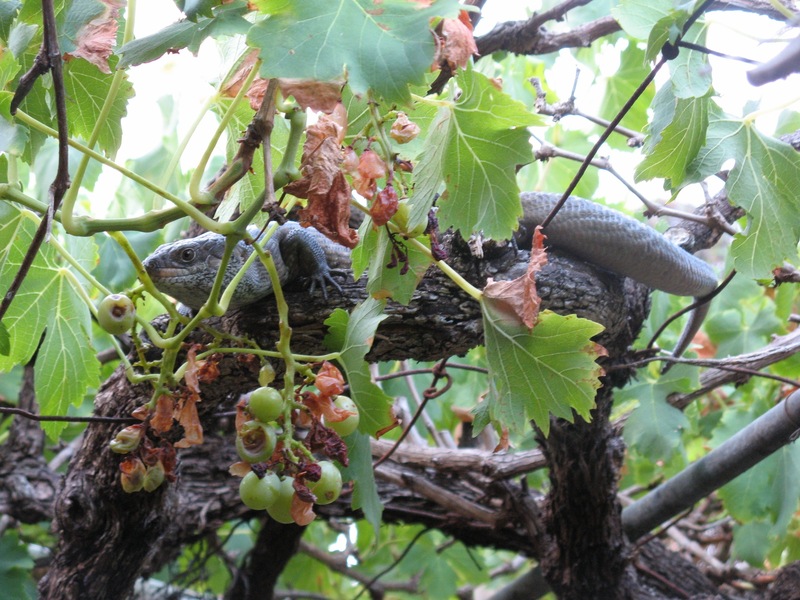 Not only the birds eat the grapes! 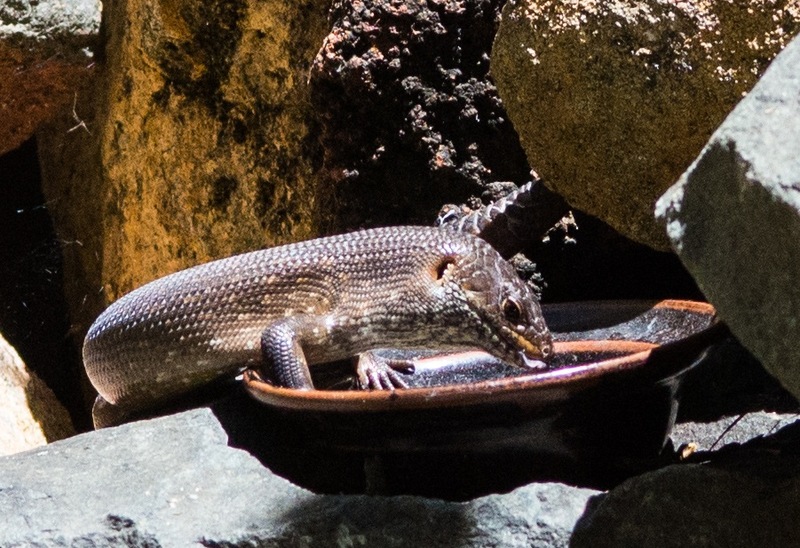 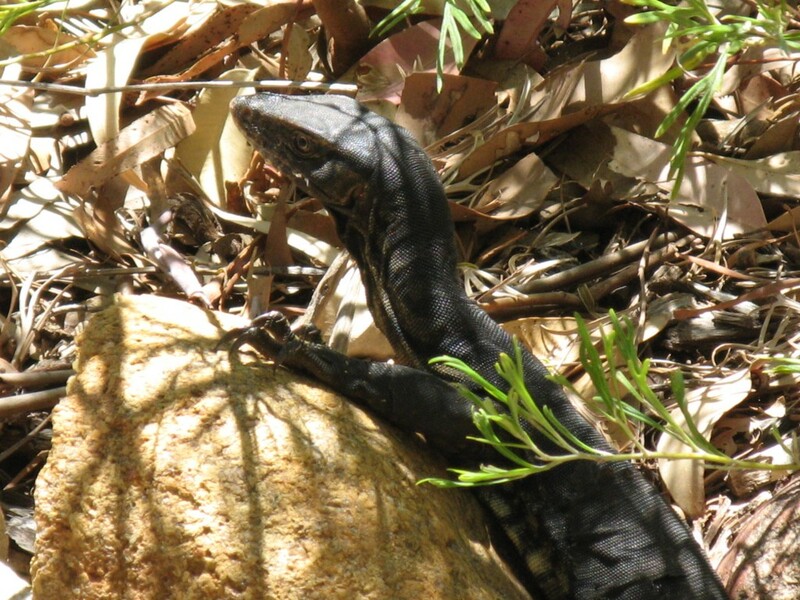 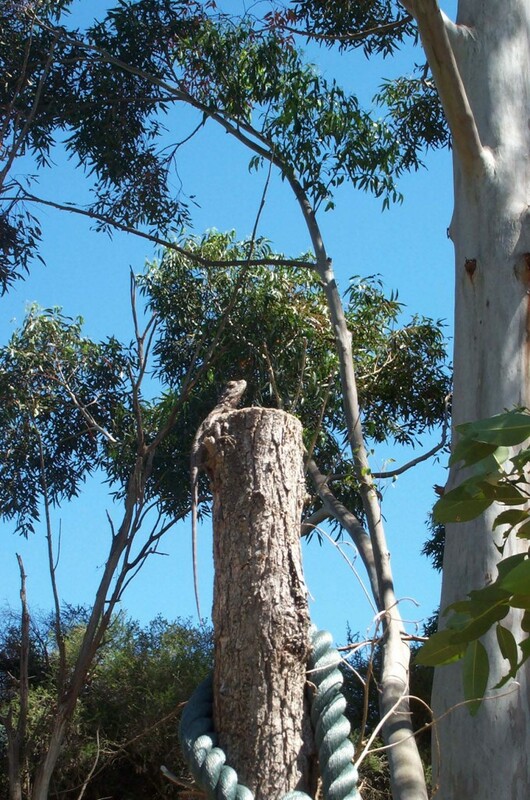 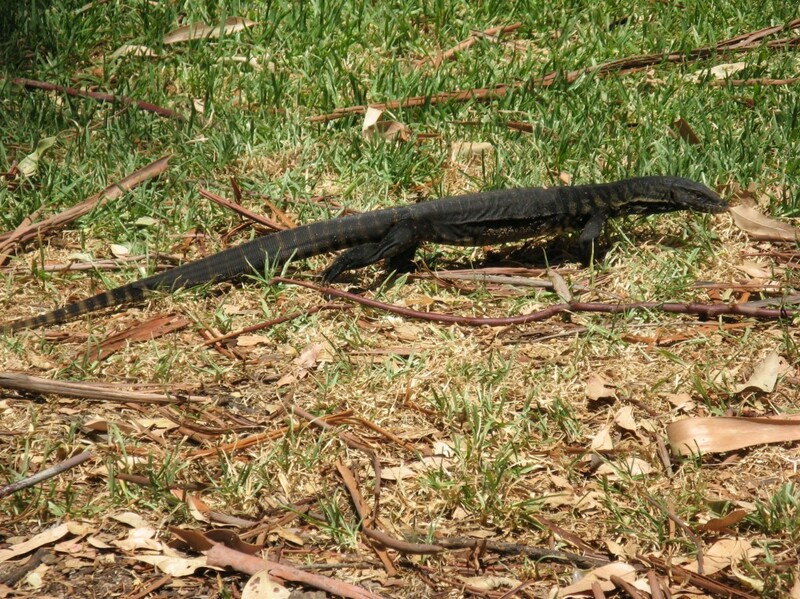 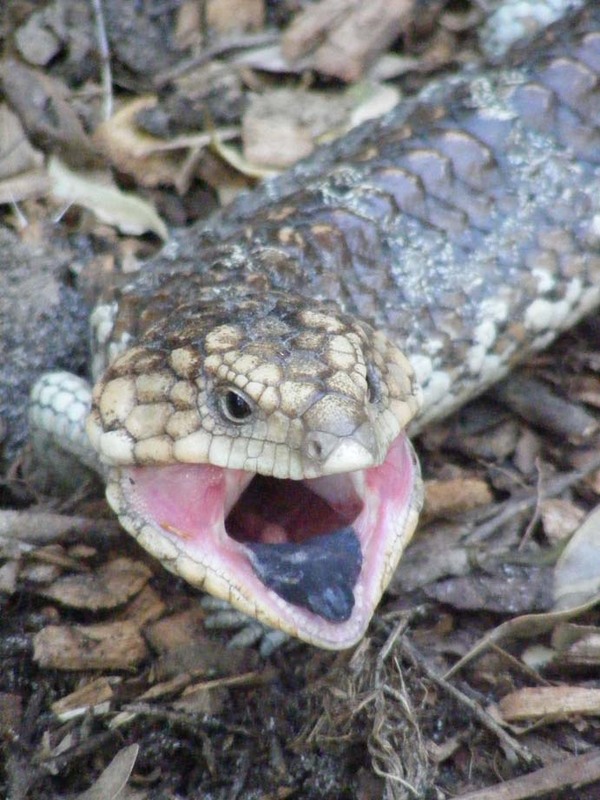 The Southern heath monitor or Rosenbergs goanna is not common apparently, so we are thrilled to have seen one here! 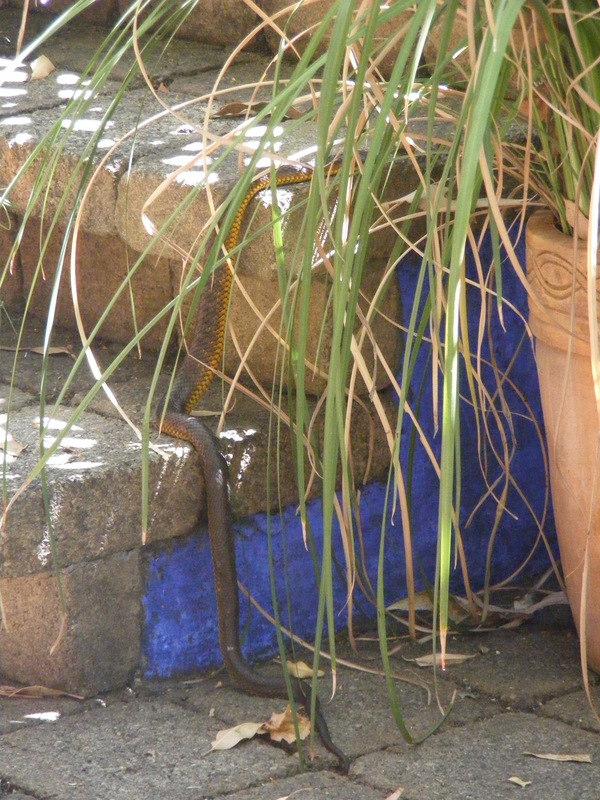 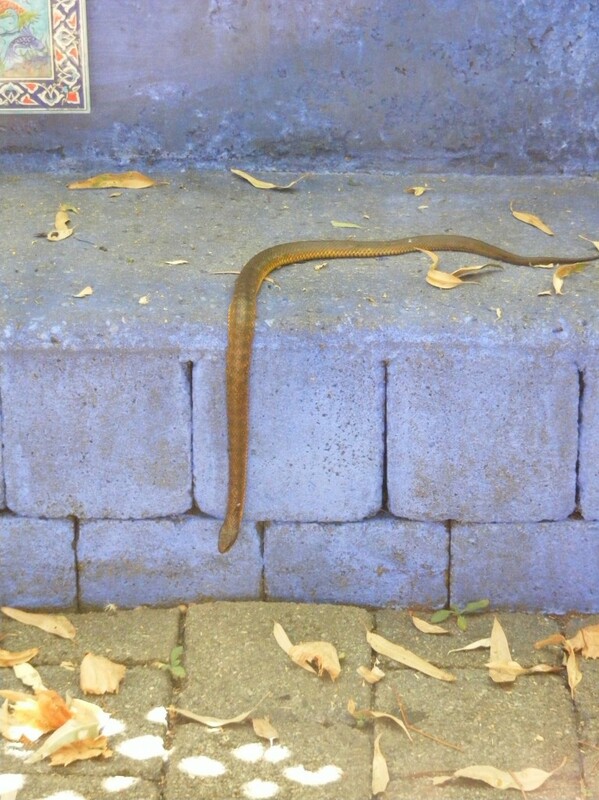 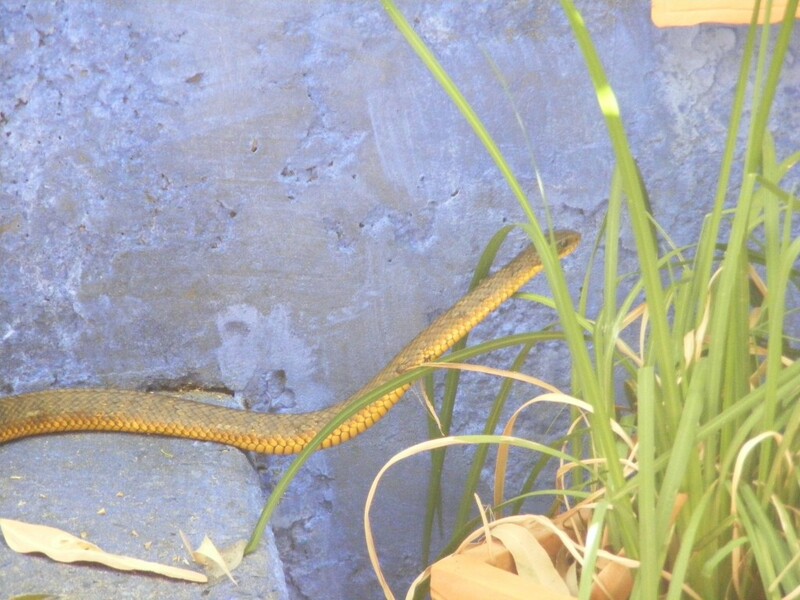 We also get a lot of tiger snakes, like this one admiring our art work! 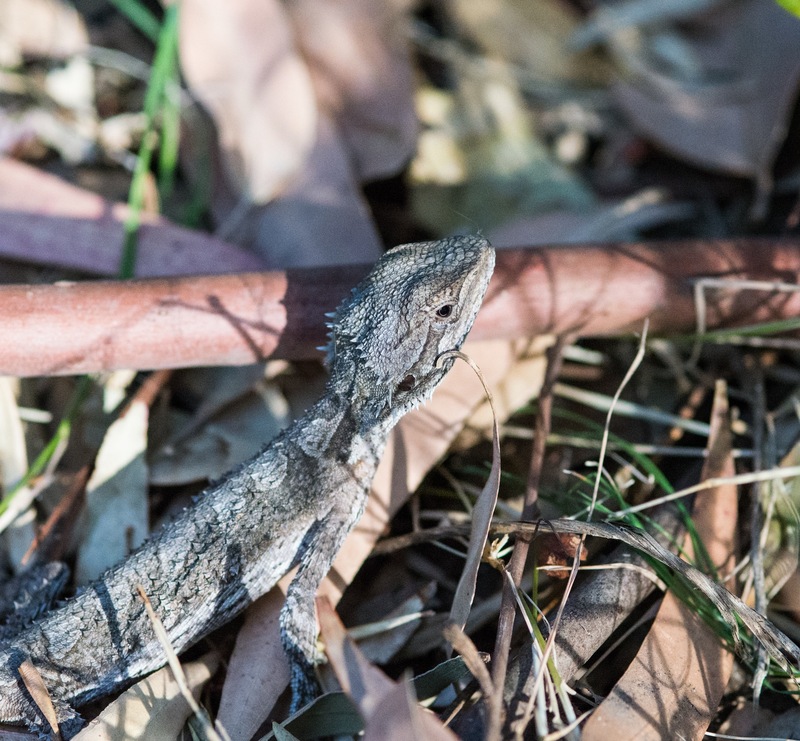 They are amazing how they stay so still in the hope they are not seen, even when picking up the stick they are on! 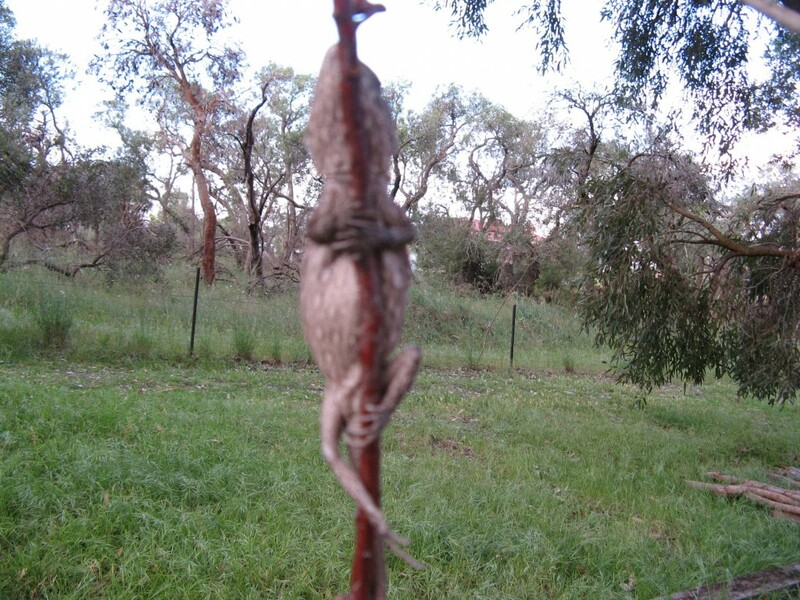 This isn’t a great photo, but shows the tenacity of the Bearded Dragon! 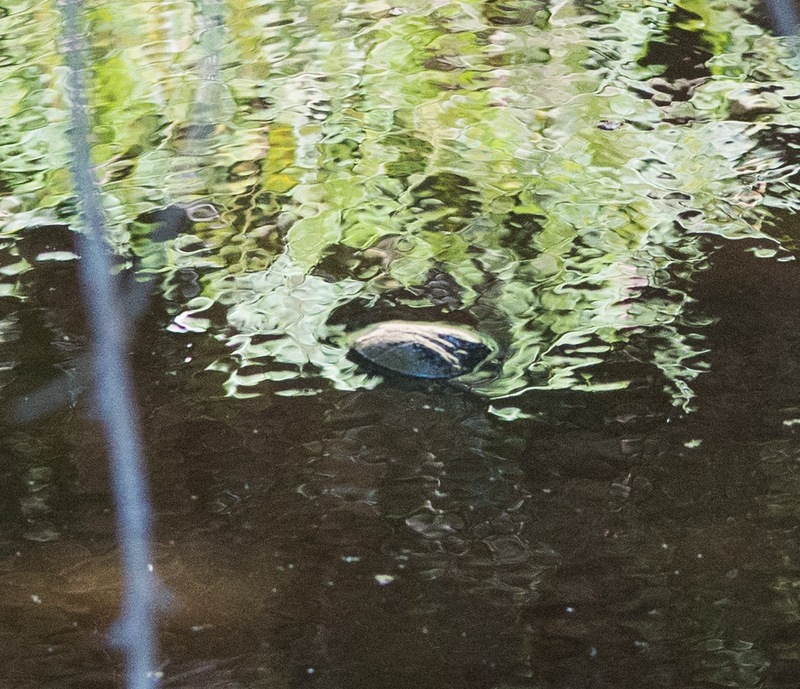 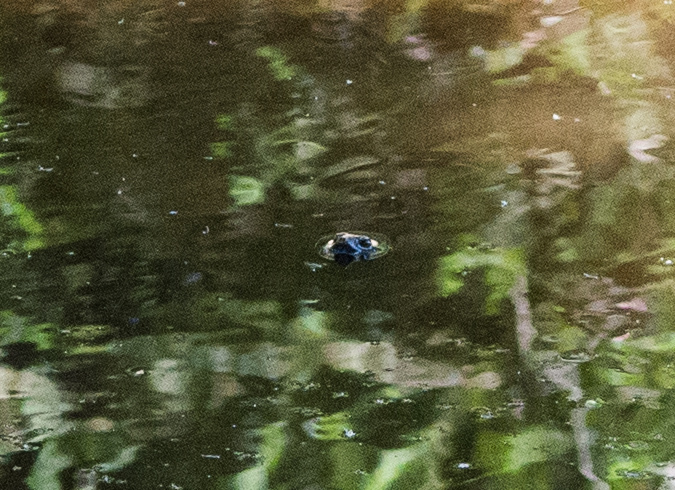 I’m not really here….I am just a stick…..
Plus we have occasionally seen Western Long-necked Turtles (Oblong Turtles) in the ‘dam’, though we haven’t managed to get a proper photo yet! 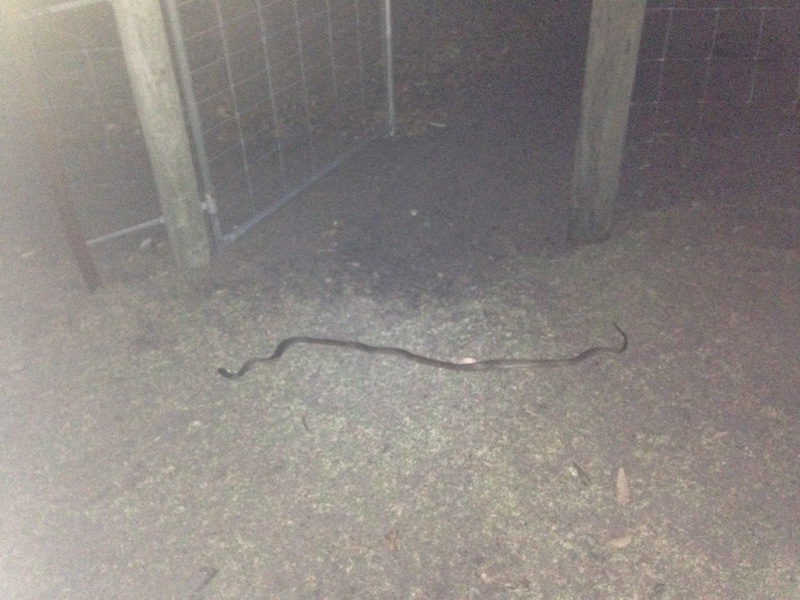 Decent sized dugite right in front of the gate!